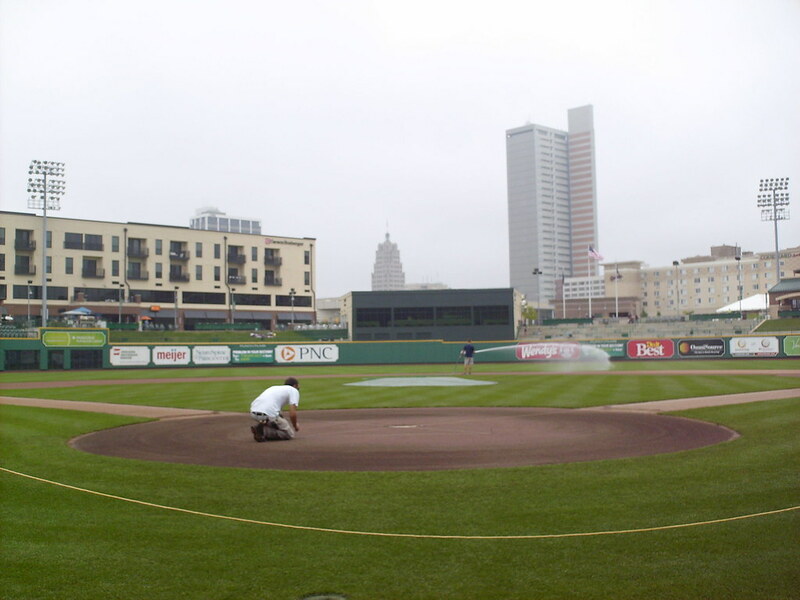 The view from behind home plate at Parkview Field, looking out into downtown Fort Wayne. 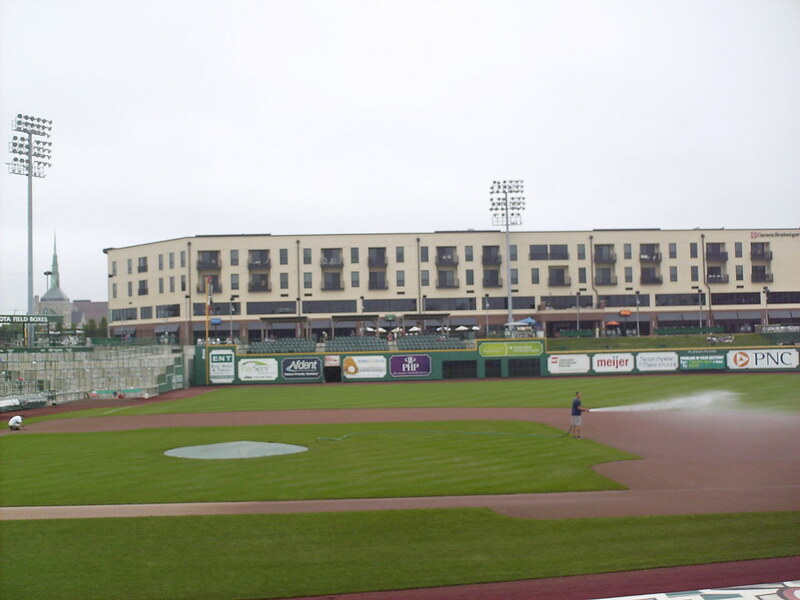 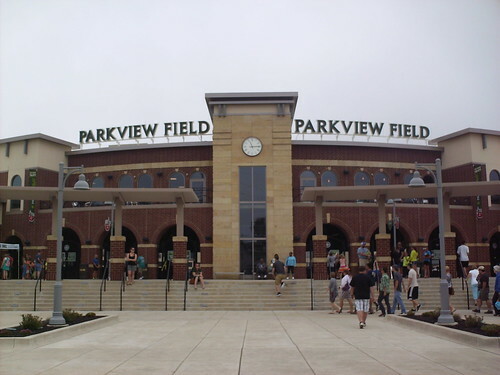 The grandstand at Parkview Field as seen from center field. 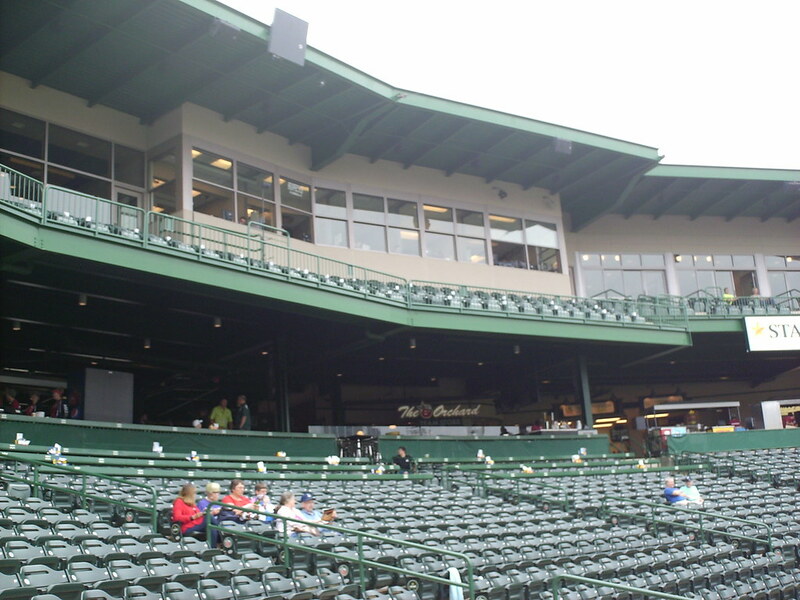 The pressbox and upper deck seating behind home plate. 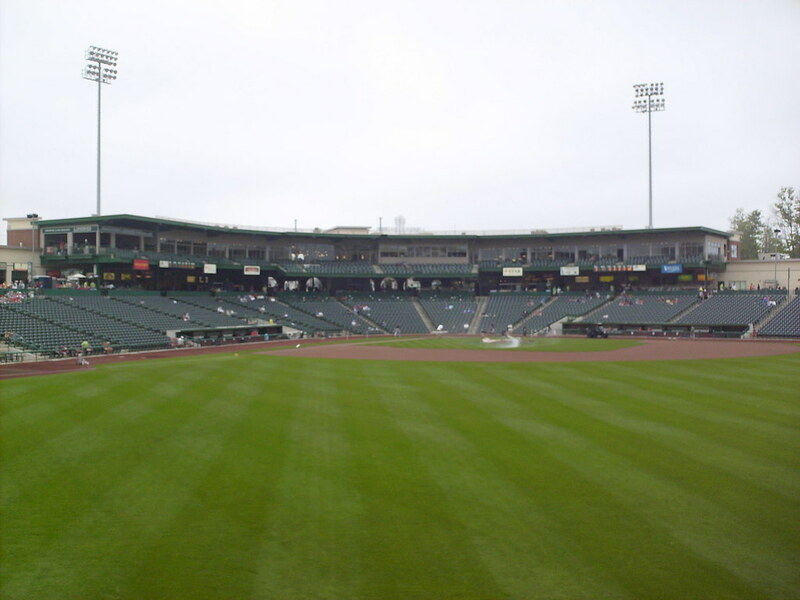 Field level box seats actually sit a couple of inches below the field of play. 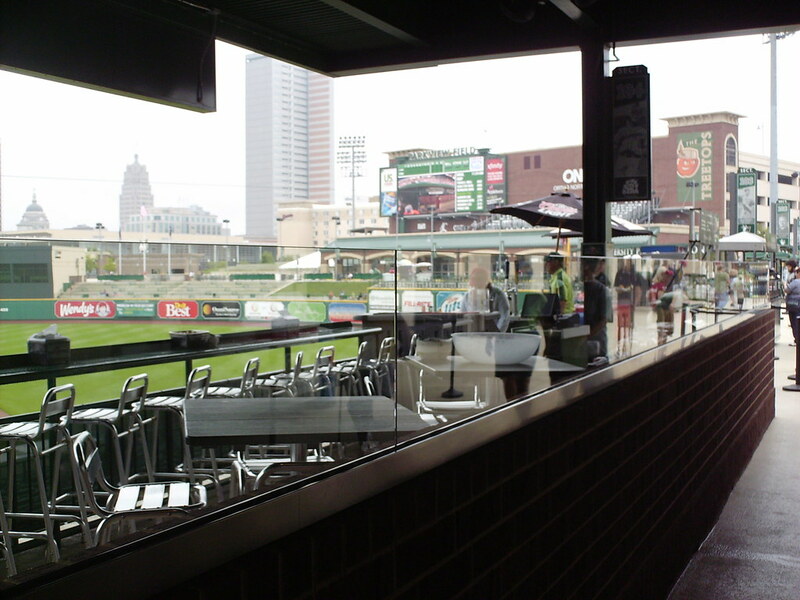 Open air party boxes run along the top of the concourse. 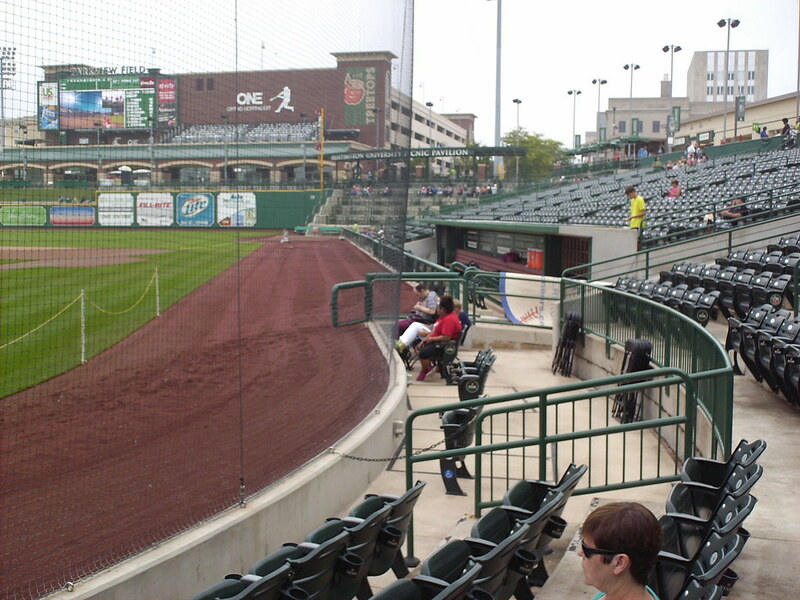 A large section of group table seating stretches down to the left field corner. 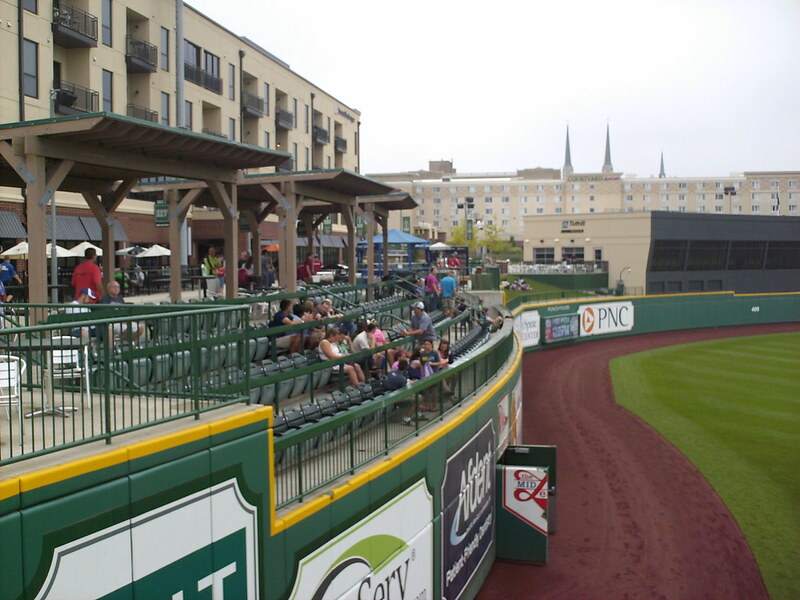 More table seating sits in the right field corner, and the scoreboard and "Treetop" bleacher seating are perched on the parking garage next to the ballpark. 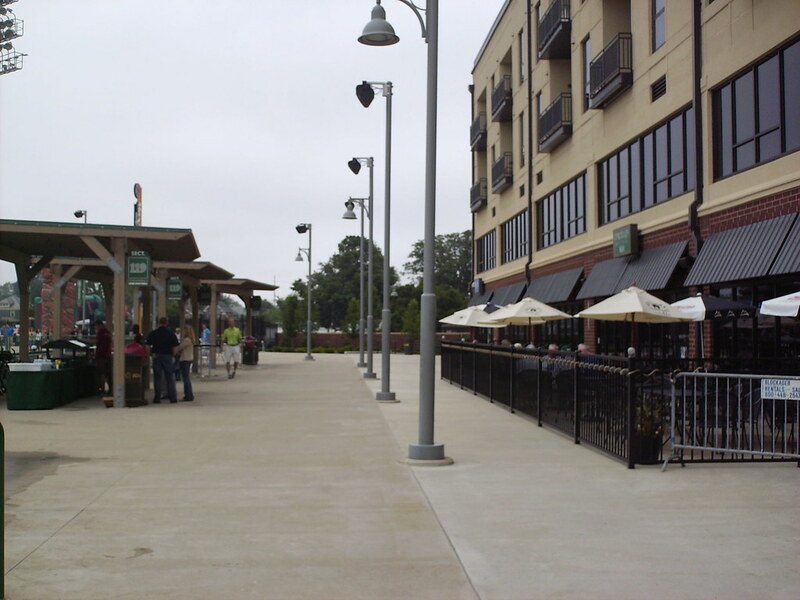 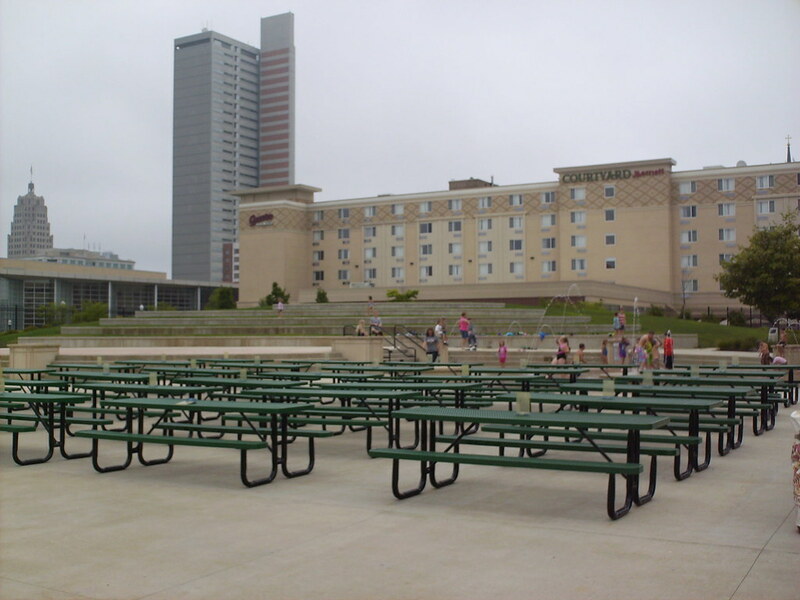 The center field concourse features picnic tables and opens to a small park area with fountains in the shadow of downtown Fort Wayne. 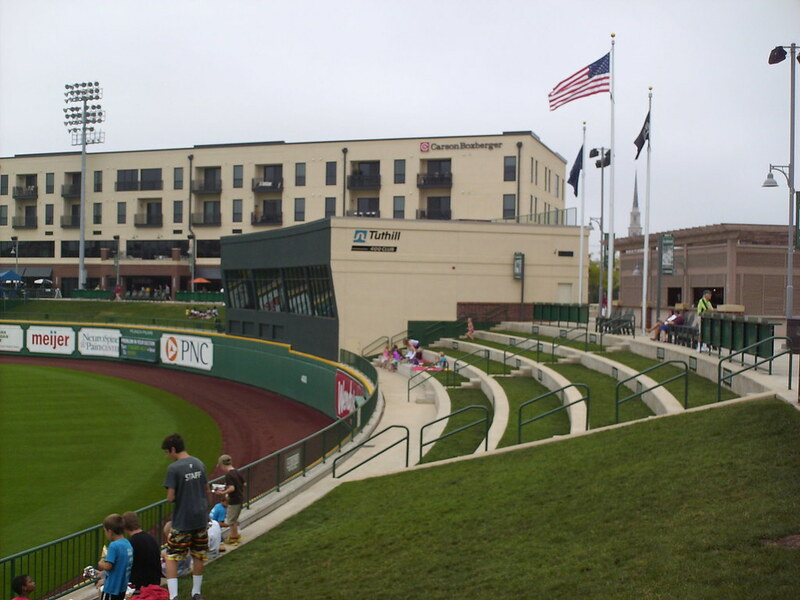 Tiered berm seating in center field, and restaurant seating inside the batter's eye building. 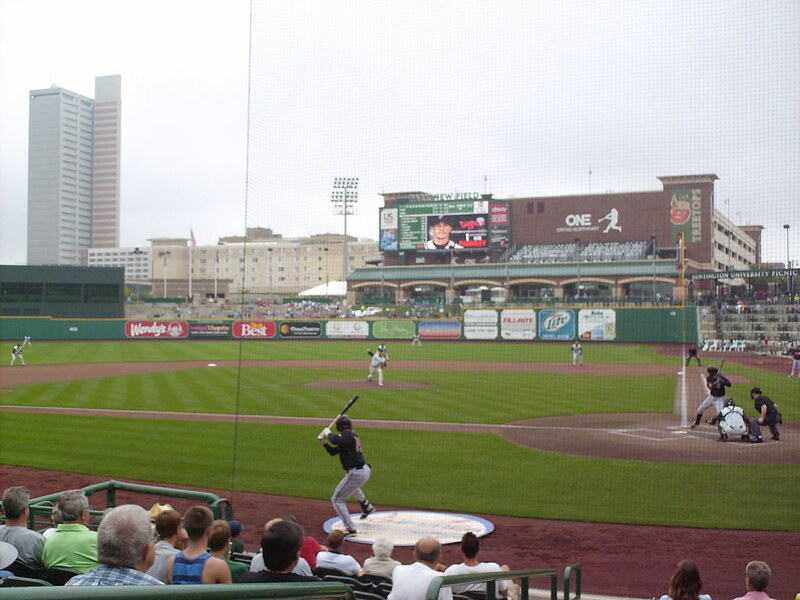 The ballpark is worked into the existing buildings of downtown. 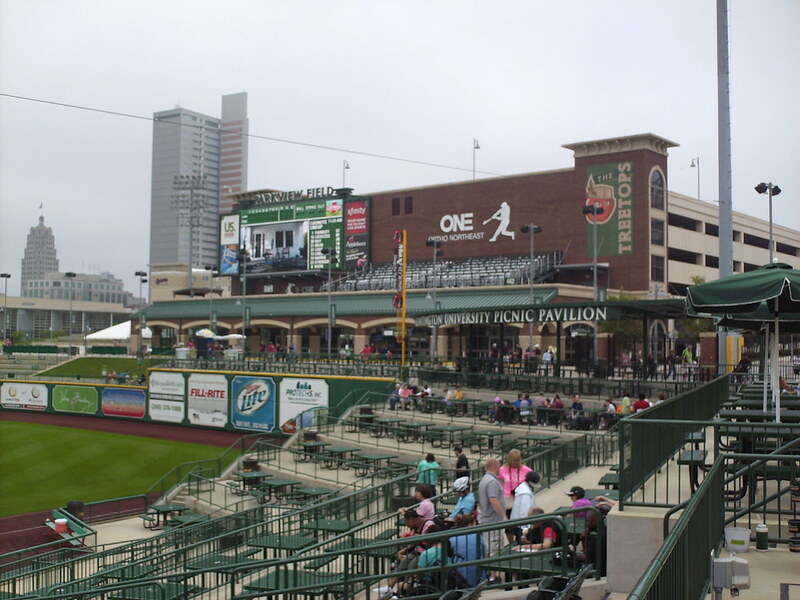 The long office building in left field features offices and a restaurant that opens up onto the outfield concourse. 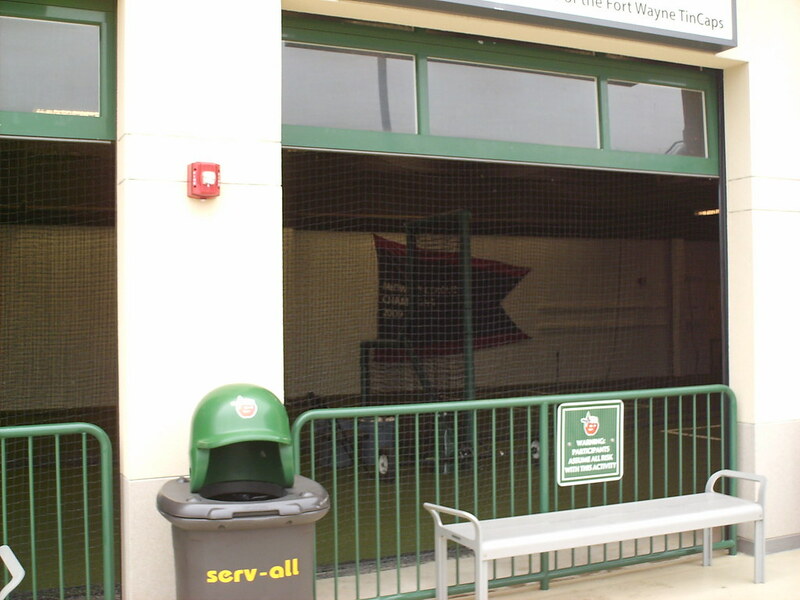 The building on the first base side of the park features a batting cage with championship banners that fans can peak into from the concourse. 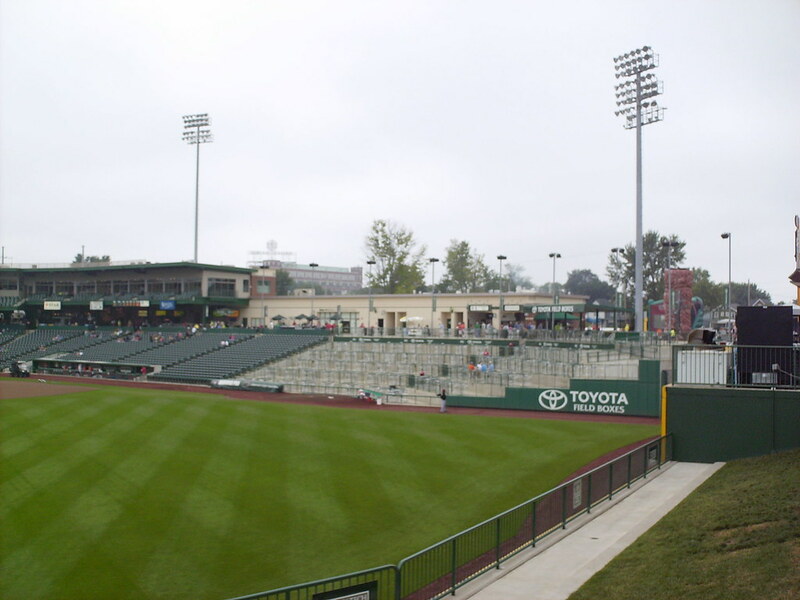 Bleacher seating in left field pushes out into the field of play, creating a rounded outfield wall. 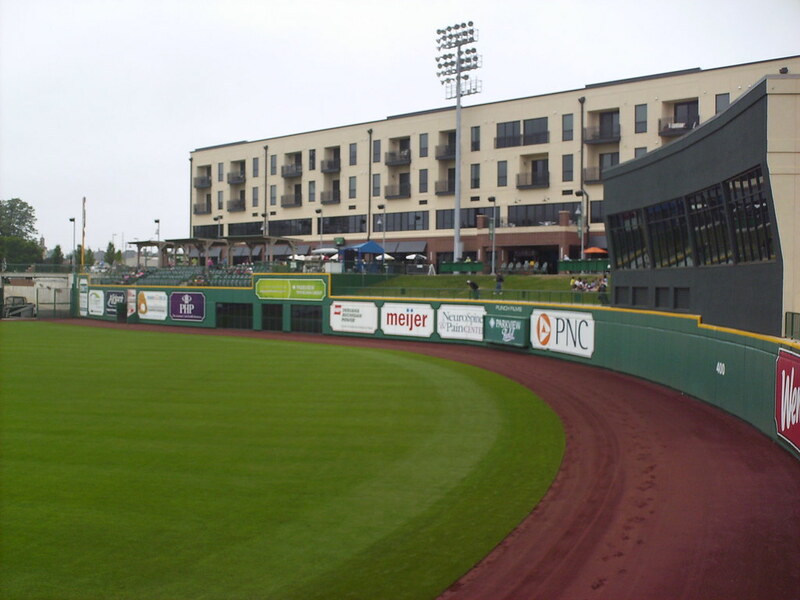 The outfield wall changes height several times as it wraps around the field, and a rotating ad panel sticks out into the field of play. 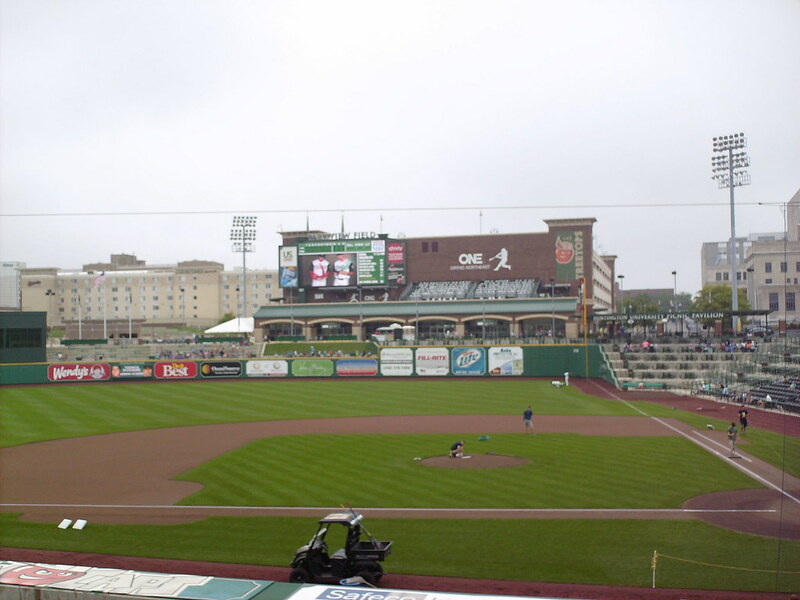 The Fort Wayne TinCaps on the field during a game at Parkview Field.